Avenue Twin Size 3-Drawer Storage bed offers 3 convenient storage drawers, ideal to store away beddings, clothes, toys, books and other miscellaneous items and are mounted on solid metal slides giving you full access to your personal belongings. Avenue bed is also entirely reversible, so you can decide on which side you prefer having the 3 drawers. Add matching Avenue Twin Size Headboard #223806 for a complete look. Avenue Collection from Nexera offers an urban and modern look for the bedroom and the family room. It can be paired in many different ways with Blvd Collection items to create 2-tone settings (check out Traffic Collection). Matches Avenue Twin Size Headboard 223806 (sold separately). Fit a standard twin size mattress. No box spring required. The Alibi 3 Drawer Storage Bed features a unique metal and hardwood slat construction allowing for easy assembly, sturdy construction and easier handling. This bed offers 3 convenient storage drawers mounted on metal slides, ideal to store away beddings, clothes, books and other miscellaneous items. 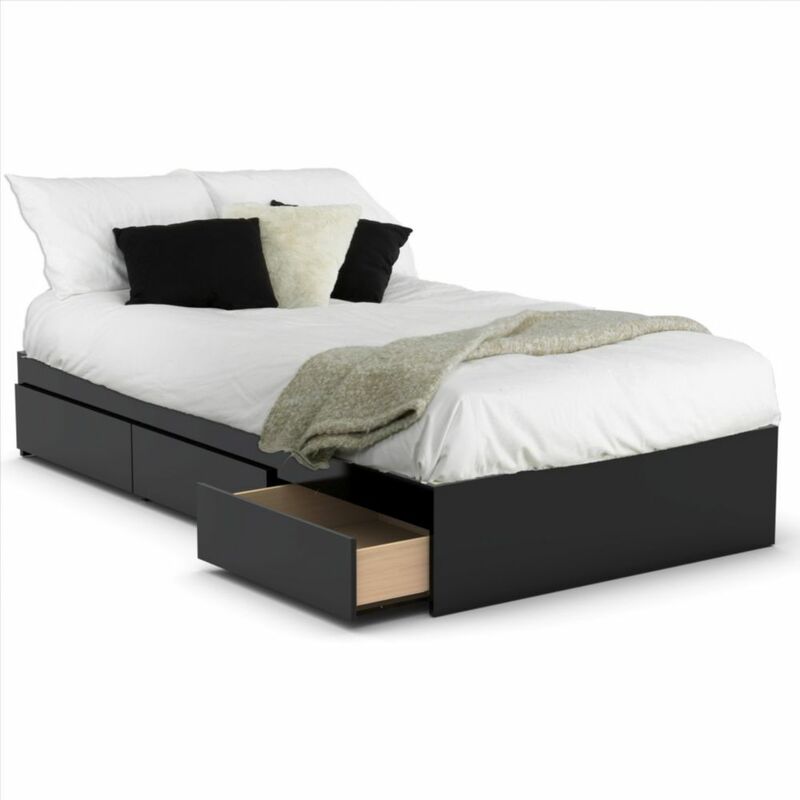 The drawers are reversible and can be assembled on either side of the bed. Avenue Twin Size 3-Drawer Storage Bed Avenue Twin Size 3-Drawer Storage bed offers 3 convenient storage drawers, ideal to store away beddings, clothes, toys, books and other miscellaneous items and are mounted on solid metal slides giving you full access to your personal belongings. Avenue bed is also entirely reversible, so you can decide on which side you prefer having the 3 drawers. Add matching Avenue Twin Size Headboard #223806 for a complete look. Avenue Collection from Nexera offers an urban and modern look for the bedroom and the family room. It can be paired in many different ways with Blvd Collection items to create 2-tone settings (check out Traffic Collection).